There are many people who do not visit their dentist or hygienist regularly. Today, we all seem to be a lot more health conscious as well as aware. The online world has opened us up to, healthy eating blogs, fitness pages, and Facebook ‘juice’ advocates, need I go on? But in all of this, for some reason, dental health seems to fall way outside of this. The ironic thing is, not many people know about the impact that one has on the other. Poor oral health can lead to a variety of illnesses and diseases. So what exactly is the difference between a hygienist and a dentist? A hygienist is all about preventative dental care, and the practice of caring for your teeth, which is completely individual and catered to you. This can be treatments, procedures, dental health techniques, info about products, lifestyle, diet and more. I mean, they’re not going to give you a healthy eating meal plan, but they can talk to you about sugary habits (delights) affecting your teeth. Are you looking for a great hygienist? Contact the Brighton Implant Clinic to find out more. A dentist’s role is to evaluate your dental health, which usually includes a dental x -ray. A dentist is looking for any current dental health issues and any procedures you may need, be that restorative, treatment for infection, cleaning and more. What to expect in a dental check up. A hygienist is also a registered dental health care professional who is specially trained in preventative dental care. Preventative dental care is crucial to dental health, as it is the practice of caring for your teeth as well as keeping them healthy. A hygienist appointment is catered to you, your lifestyle, your personal health and your regime. Ok, let’s start with how things get “bad”. In dentistry the source of all evil is bad bacteria, it’s where all the problems begin. The mouth is a host to a whole colony of microorganisms, and some of them are harmful. When we eat and drink, bad bacteria causes plaque and tartar around our teeth. This is like a sticky film that forms on teeth and contains millions of bacteria. The bacteria within this can actually cause gum inflammation, tooth decay and more, if not properly cleaned from the mouth. Plaque that is not removed from the mouth will eventually develop and harden into tartar. Tartar hardens at the bottom of the tooth and below the gum line. This causes gum inflammation as well as recession, meaning gum disease, tooth loss and in severe cases, bone loss. Tartar cannot be removed through flossing and brushing, this must be removed by a dental health care professional. Poor oral health is linked to cardiovascular as well as respiratory diseases. Your hygienist doesn’t just give you any clean, this is a deep clean, scale and polish which removes plaque and tartar (where the bad bacteria likes to hang) from your teeth. Your hygienist will also be able to remove some stains, making your teeth brighter and even whiter. Your hygienist will have a chat with you about lots of things, such as your medical history, for example, if you have diabetes you will be more prone to gum disease. Diabetes and gum disease. He or she will also speak to you about lifestyle, your dental health regime, like how many times you brush your teeth a day. What type of products you use and so on. Don’t worry it’s not an interrogation, your hygienist is there to help you achieve the best oral care, as well as ways of maintaining it. prophylaxis paste or a pit and fissure sealant. This type of paste is a blend of cleaning and polishing elements, which contain sodium fluoride. Fluoride, in the correct doses, works as a protective sealant. It helps prevent tooth decay by protecting the tooth against acid as well as combating early forms of tooth decay. A pit and fissure sealant is a safe and painless way to protect your teeth from decay. As the name suggests this colourless coating which is applied to the molars and premolars (biting teeth at the back of the mouth) acts as a shield that keeps food and bacteria out of the pits and grooves of teeth which are prone to decay. That brushing straight after eating can damage your tooth enamel, tooth enamel is the outer, protective layer of the tooth. Gum disease caused by bacteria can cause many different problems such as bleeding gums, painful gums, tissue loss, tooth loss and bone loss. During your appointment, your hygienist will also be screening you for signs of oral cancer. Oral cancer is life threatening, however, if caught early, it can be easily treatable. If you smoke, you increase your chances of oral cancer. Poor dental hygiene leads to a lot of bad bacteria harbouring in your mouth. This bad bacteria can actually make you ill. There is evidence that supports that poor oral hygiene can lead to the development of other diseases such as heart disease, respiratory diseases, stroke and more. Bad bacteria causes bad breath which is also known as halitosis. Bacteria are living organisms that create gases, which can create a foul odour. Poor oral hygiene = a frenzy of bad bacteria in your mouth giving you bad breath, which can become chronic. By visiting the hygienist, you can eliminate plaque and tartar, which are the main causes of gum diseases, which is the leading cause of tooth loss. Are you suffering from tooth loss? Find out more about teeth in a day. 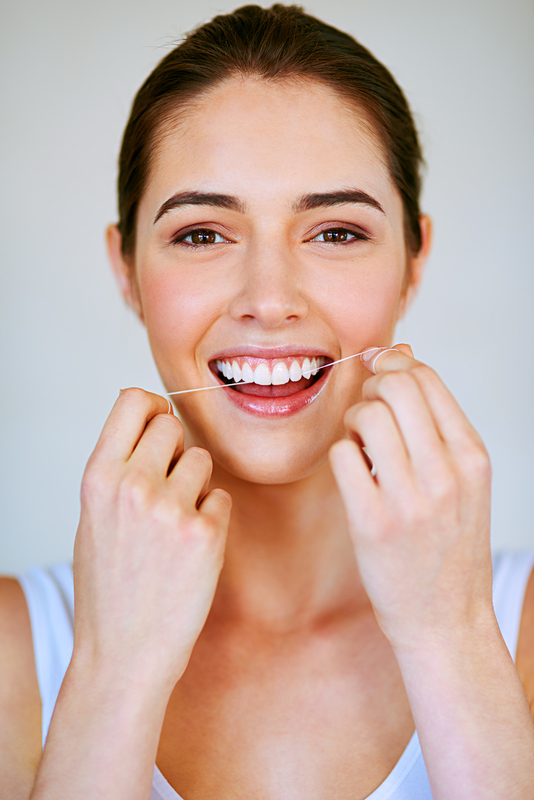 There are many benefits from improving your oral health! If you would like to arrange a check up or assessment, you can find your nearest clinic here.